Creating together as a group, Samama says, allows women to tap into that meaning, while making a statement of solidarity as a community. 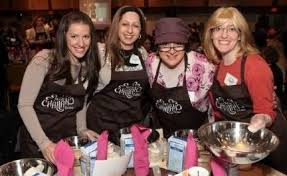 The Montreal Mega Challah Bake is being held at the Crowne Plaza Hotel on 6600 Cote De Liesse, and is co-sponsored by all Chabadcenters in the greater Montreal area. The event is open to women and girls aged 16 and up. Tickets are $20 if purchased before September 1 or $25 after that date. Tickets are by advance purchase only. As the event has sold-out in previous cities, organizers advise early reservations to avoid disappointment. 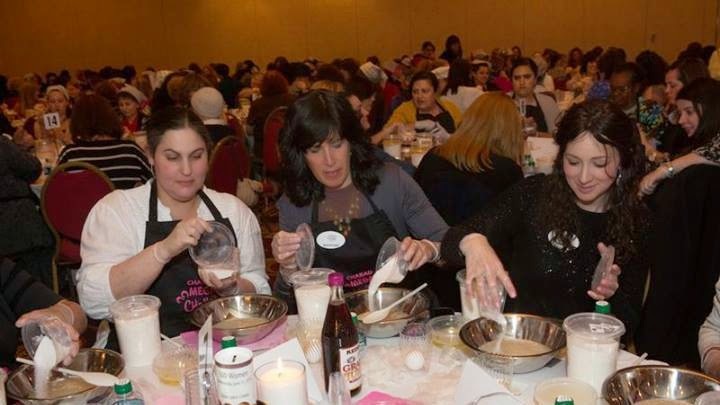 For more info, go to www.megachallah.com or facebook.com/megachallahmtl. Here is a look at a previous such event. John Lancer and his antenna. “People think they have to pay for satellite or cable to get HD television when in fact a modest antenna can bring in most of the major broadcast networks,” Lancer continues. “Free over-the-air channel selection in Montreal has actually increased since 2009 and bit-by-bit more people are going back to antenna TV, and if desired, complementing this with streaming on-demand content such as Netflix over the internet. The people that are going for this more affordable alternative to cable TV are called cordcutters. This past year new devices came out that allow you to add your coax antenna to your home WiFi network. This means you can turn a computer or laptop into a DVR, and watch live TV from your antenna on your mobile devices using downloadable apps or media programs. For example, I watch Jimmy Fallon in bed on my iPad, streamed directly from my antenna-not the internet - so there is no hit to my internet data caps. Live sports will still be coming to Montreal via over-the-air as Roger's CityTV will be carrying two hockey games per weekend, as well as NFL football, racing circuits, MLB and the NBA. “The best part of having an antenna for the NFL is getting the SuperBowl American feed directly from the Burlington stations with the real Superbowl commercials,” Lancer notes, who says Côte-St-Luc, NDG, Lachine and other areas of the West Island are goldmines for free TV. 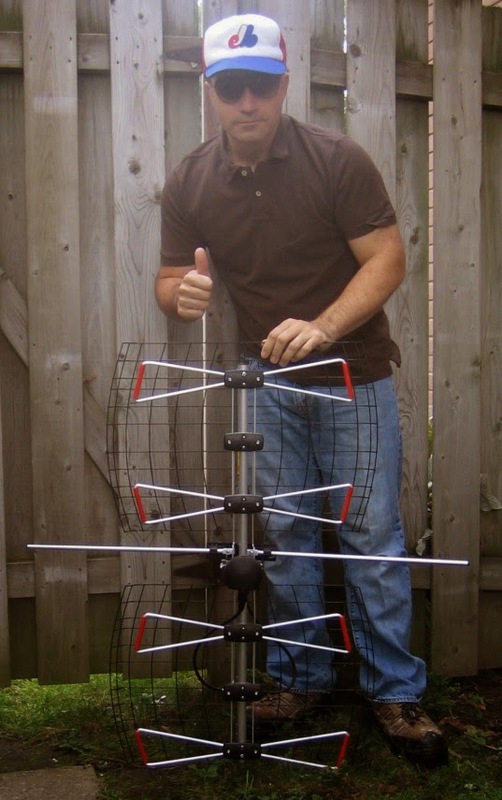 A modest antenna setup will easily get 20 plus channels, pulling in even the American networks from the US border such as CBS, NBC, ABC, FOX, PBS, CREATE, PBS+, CW, MeTV and PBS World. All stations are digital and most in either 720p or 1080i HD. All of this is free once you've paid for your antenna setup. I wish to thank John for this education.